Meditative, exploratory and warm without being overly sentimental, the tunes populating Into Your Heart (Jazzbridge) are instantly relatable mood sketches drawn from Tom Schuman’s creative keyboards. 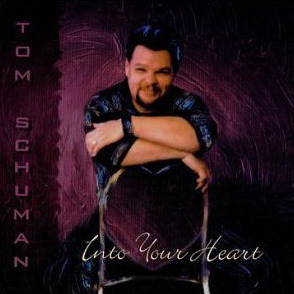 From the buzzing, majestically meandering, keyboard-lead driving album-opener, “Find a Way,” to the dramatic piano of the dark-veiled “Shinjuku,” Schuman’s range sets a wide variety of tones and moods. In lesser hands, for example, a tune titled “Portrait of My Father” might be an overdressed, glossy melodrama, but Schuman presents a bittersweet, dusky atmosphere through splashes of jazzy piano played against singing, mournful-to-warm bass tones. “Quality Time” gets its pretty, inspirational flavor from a wind-instrument keyboard texture, gliding gently like a flute in contrast to the driving piano. Tension between keyboard and lumbering percussion grooves add intrigue to “Mysterious Ways,” while “Third Spirit” takes on a magical quality through its bell-tone keyboards, pop piano and world-beat percussion.